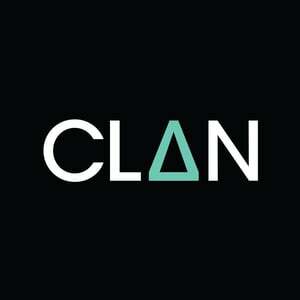 October 2016 – CLAN STUDIOS. The first screenshot at 0:06 states the setting, it reads “350 billion years ago…” this explains the rest of the clip and makes it very clear. The rest of the clip is supposed to give the impression of evolution. It begins with a jelly fish, moves to some form of Eel, then a Puffer fish, then to a different bigger fish, then it jumps onto the land and begins on land as some form of crocodile, then i finished my storyboard at 1:43 with an animal climbing up a tree. TASK 12 – 9 Screen Shots. I have chosen to analyse the 9 key shots from the Major Lazer – Powerful (feat. Ellie Goulding & Tarrus Riley) music video. Its genre is the same as the song Tommy and I have chosen, dance/electronic. This is the first key shot because it is the first time you see one of the featuring singers and main characters (Ellie Goulding) and the set, which is clearly a cafe or restaurant of some sort. This shot also tells us that it is during the day, as there is natural light coming through the windows at the back. This shot is important as it sets the scene of the music video. This is the first time you see the other main character and singer, Tarrus Riley. The lighting is quite dark to set a warm, relaxed atmosphere, but also having some natural light coming through the blinds to show it is day time. This shot is also important, as it shows us that something is going on in the video, as if Ellie Goulding has the power to bend metal. This is the main focus of the video and it introduces the power between the two singers in the song, “Powerful”. This shot shows the light become slightly bluer and more sinister almost, as we see that Tarrus Riley also has a power, to make fruit float. This clarifies that both singers have some form of power. This shot is important because it shows that the other characters in the video are amazed by what Goulding and Riley are doing and what powers they have. The mans facial expression in this shot emphasises the amazement and how unnatural their power is. This shot also shows the shocked facial expressions of the other customers. It also shows gives the impression that this restaurant is possibly a road side food stop, as there is a bearded old man in a vest behind the counter. The furniture, architecture and props also give this impression, for example the old kettle on the counter. This shot shows both singers working together and combining their powers to make everything in the restaurant float and lift. Their power represents the song name, “Powerful” and the lyrics. This shot is also important as it is the first time we see the two singers coming together and meeting due to their unnatural powers. This is a key shot because it is the most busy. It shows the two singers using their powers on both sides of the shot and in the middle is a very out of hand, messy looking restaurant with floating people and props to show how powerful the two are. It shows that things have got out of hand it it shows peoples shocked facial expressions. The business of this shot makes the whole scene seem a lot more crazy and out of hand. This is the final key shot, right at the end of the video. It shows the two main characters leaving together in a car in the dark. This is strange because we saw what looked like natural light coming through the blinds in previous shots. This shot is important as it suggests the two with powers have bonded and are leaving together because they have become friends in some sense. There are some videos that are quite similar to the music video Tommy and I want to make. We want to include a chase, fire, slow motion and possibly an explosion in our video and the song Bangarang by Skrillex is reasonably similar to our plan, as it uses some of the ideas we have for ours. Cinematography – The clip uses a series of close ups, long shots, panning and tracking shots. Low angles are also used to make the ice cream man look bigger and the young boys are made to look smaller and younger, to create the effect that they are “young pranksters”. This is shown through slightly high angles. The tracking shots are effective when the boys are running away. Smoke is also used to make the explosions more dramatic and realistic. Editing – in this clip, slow motion is used often. This makes the whole video more dramatic and it emphasizes the trouble the boys are making and makes what they are doing more impressive. It also creates a comical effect. In the middle of the clip one of the boys looks at his shadow and it grows as he gets older from a boy, to a man. This effect shows that the clip has now jumped twenty or so years into the future, but with the same characters. Mise en Scene – The video is set in an poor part of a city, possibly London on a cold day. This is shown through the surrounding architecture and the warm clothes the boys use. This also adds humor to the video as they are stealing ice cream, on a cold day. Props such as French bangers and sling shots are used to create conflict and add to the dramatic, upbeat atmosphere. Another similar music video we are basing ours on is The Scientist by Coldplay, as it has been filmed in reverse. We are wanting to film a chase in normal speed and then play it back in reverse, however the lyrics will be spoken in normal time. Cinematography – Different shots, such as panning, zoom, close ups, mid-shots and arc shots have been used, as well as tracking. These various shots are used to focus on the lead singer of Coldplay, as he is the interesting part of the clip, as he is shown moving in reverse, but his lips are moving in normal motion, showing that he has had to learn the lyrics backwards for the video to work. Editing – The whole video is in reverse, so this is a very important editing technique to the video, which Tommy and I are thinking of doing too. Slow motion is also used to create a cool effect and some of the shots fade in and out of each other. Mise en Scene – Costume in this clip is very simple and relative to the average viewer. Some of the clip is set in the city and the rest is in a wood/field, which creates a spaced out atmosphere, as if the singer is lost. It makes the video more emotional, as does the car crash. TASK 10 -Music Video Investigation. TASK 9 – Permission to use Track. TASK 8 – Things to Consider. In our music video we are going to focus on three different points to improve our video. For example, the 5 sections. In this music video from Little Mix, they have several different visuals for the audience to focus on, like a close up, a clip of them dancing and a clip of each of them with different backgrounds. Tommy and I are going to focus on this too, we have plans on having a chase, so the scenes and location will change several times. We are also going to have a close up of someone in front of a projector, where the background will change several times and we also have plans of having a dancer. They use minor colourful animations in their music video, like simple lines that give the effect that they have been drawn on top of the video clip. We are considering doing this same thing in our video to give it more colour and more excitement. Here is my lyric video of the song, Powerless ft, Becky Hill by Rudimental. I have used two different examples of in film effects to present my lyrics.